In News: India and Pakistan are holding crucial talks over various aspects of the Indus Waters Treaty. This is the first engagement between the two nations since Pakistan Prime Minister Imran Khan took office. Under the treaty, India has full use of the three “eastern” rivers (Beas, Ravi, Sutlej), while Pakistan has control over the three “western” rivers (Indus, Chenab, Jhelum), although India is given rights to use these partially as well for certain purposes. The biggest sticking point in negotiating the treaty in the 1950s was the conditions under which India could use the hydro-electric potential of the Chenab and the Jhelum before the rivers reached Pakistan. The principle incorporated into the IWT was that, indeed, India could develop this potential, but only under a set of well-defined limitations on the amount of manipulable storage which could be created by India in the process, thus assuring Pakistan that India would not have the ability to manipulate either the timing or the quantities of the flows reaching Pakistan. 1990s: A difference arose about the Baglihar Dam being built by India on the Chenab. Pakistan claimed that low gates installed for flushing sediments violated the specifications of the treaty and endangered Pakistan’s water security because it gave India a capacity to manipulate the timing of flows into Pakistan. Was India within its rights to build the project and was India able to insert low gates – India was allowed to proceed. While it might be convenient for India to build low gates and practise sediment flushing, this was not the only way to manage sediments, and that convenience for India had to be balanced against the threat this would pose to Pakistan’s water security. Climate change-induced glacier melting in the Himalayas threatens future water supply in the Indus basin. There is increasing global warming, but the rise in temperature in the Himalayas has been much higher than the global average. Thus, harnessing the Indus river system sustainably is a crucial issue for improving human development and contributing to regional peace and security in South Asia. The Indus Basin epitomises a grand challenge due to its high poverty rates, high groundwater extraction, increased environmental degradation and risk of floods and droughts due to climate change. There is a need for integrated development of the basin as there are possibilities of building more storage facilities across the Indus and its tributaries to ensure better use of the scarce water. Water projects can be situated at optimum locations, notwithstanding geographic divisions along political lines. 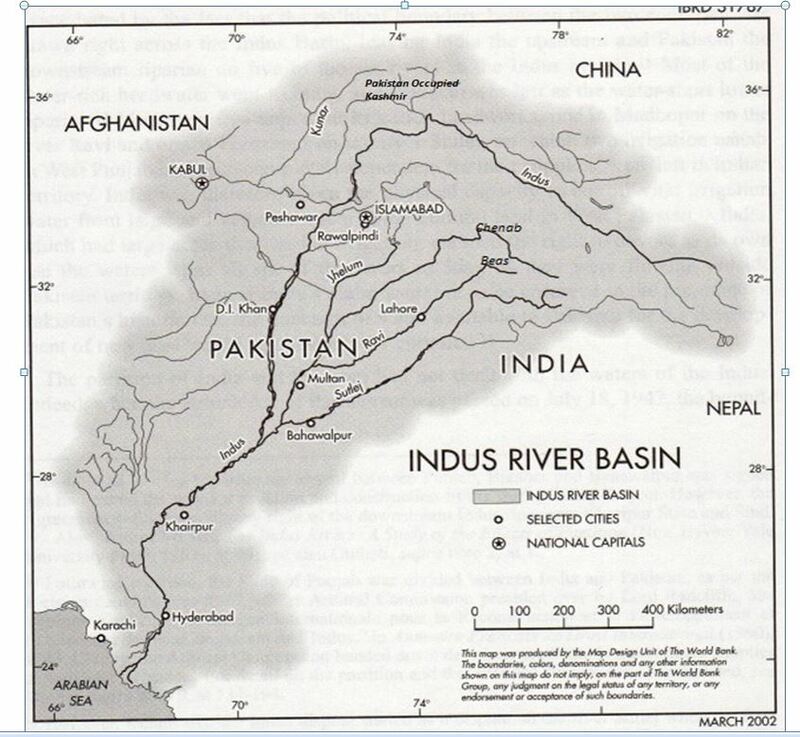 For appropriate and competent management of Indus systems, it is necessary to explore establishing an effective and independent river basin organisation, involving all the four riparian sates, which will have the capability of taking decisions on its own and remain out of the political control of any national government. India needs to take the opportunity to work for a comprehensive and integrated form of basin management, the benefit sharing of the Indus river system will not be limited only to water resources; it can have other peace-enhancing effects and significantly contribute to regional peace, security and development. Why was the Indus Water Treaty in news recently? Do you think the treaty is unfair to India? Critically examine. The Indus Water Treaty remains a major irritant in Indo-Pak relations. Do you agree? Examine the issue and associated developments in the recent past.